Advantage ACT believes that their competitive advantage is in the extensive experience of their Auditors, Facilitators and Implementer’s and their ability to transfer knowledge very effectively. This is critical, as to a large extent, the success of a SHEQ/HSEC programme depends on the change in behaviour brought about by good auditing, consulting and training interventions. Health and Welfare SETA Accreditation as training provider: HW592PA05000117. 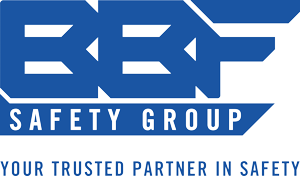 IRCA Registered under partnership with BSCIC: Lead Auditors Courses: ISO 9001 and OHSAS 18001: A17581 & A17582. ISO 14001 Lead auditor’s courses are presented in partnership with BSCIC and INTEK. The company has TUV ISO 9001: 2008 certification. It is a Department of Labour: First Aid level 1-3 registered institution with number CI 413. It has a Level Two, Empowering supplier B-BBEE Status. Advantage ACT only makes use of properly qualified and registered facilitators, assessors and moderators with extensive experience in OHS. AGO Certification employ only INTERNATIONALLY qualified ISO9001, ISO14001 and OHSAS18001 Auditors and Lead Auditors with knowledge and skill in the safety, health, environmental & quality disciplines. Steam Legal Compliance Solutions employ only qualified lawyers and advocates with knowledge and skill in the safety, health, environmental and quality disciplines. The Institute of Safety Management (IOSM) National Council for many years. Advantage ACT is part of Pinnacle OSH Holdings. Pinnacle Holdings prouds itself on really being able to provide a turnkey solution in the field of OHS! Besides the services of the Advantages companies listed above, the rest of the companies in the group each focus on their own specific role and functions to ensure clients get the best possible service. Pinnacle OSH Holdings provides specialized OSH services including the development and implementation of formal OHSAS 18001, ISO 9001 and ISO 14001 Management Systems. Frontier SHEQ Consulting provides an OHS management service to companies in all industrial sectors, including manufacturing and facility management and also acts as the OHS Agent for clients on construction projects. Primary SHEQ Services provides OHS Services to Principle Contractors (Mining, Building and Civil Construction Projects). Crest Occupational Safety and Health Construction Support provide a comprehensive OHS service to sub-contractors in the construction industry. Teano Management Services (Pty) Ltd is able to deliver quality management services to the commercial and retail industry. This also includes the development, implementation and maintenance of formal- or informal OHS Systems for Tenants in Retail Shopping Centres, Office Parks, Business Parks and Industrial Parks. The management and staff of Pinnacle Holdings are all committed to try and save lives and make a difference to all workers in South Africa and the rest of Africa. To that end we fully intend expanding our services in our different focus areas to reach as many OHS practitioners and workers as possible through our training, auditing, or our OHS consultancy services on sites. We are closely following the developments in terms of the QCTO so that we can become a leader in that area as well as expanding our training to other means to reach as many people as possible. 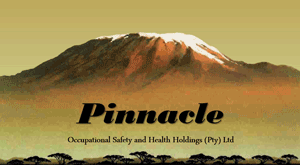 Pinnacle Holdings wants to be known as the Leader in OHS in Africa!